Anyone who has spent time in the study or practice of Organizational Development knows something about Edgar Schein. He has been a central voice in this space for more than 5 decades, with books and papers that have advanced the field. He has helped to unpack what we mean by research and experimentation in the social sciences, and he has guided application of OD concepts through all aspects of teaching, mentoring and consulting. What might we gain in looking back at his contributions? Q1. Leadership: best defined as a role, not a position. Has Schein’s perspective received traction by CEO’s? Wall Street? Q2. Culture: includes artifacts, values and assumptions; it’s encountered in layers. Which aspects are most fully realized in the practice of modern OD? Q3. “The job of a leader is to create culture” -E.Schein. Agree/disagree? Q4. Group vs. Individual Dynamics. Does a Western culture emphasizing individual achievement fight with a need for group/team learning? Q5. OD Research vs. Practice. Fragmentation may be the enemy. Few B-schools have picked up the torch. Why? Q6. What does Schein see ahead for OD? The #orgdna chat community is continuing to unpack key trends in the 21st century practice of OD, from leadership to learning. In 2017 we are looking at ideas of key thought leaders. This year we have looked at Peter Block and Chris Argyris. 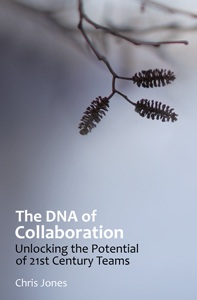 In the past, we’ve looked at Margaret Wheatley, Peter Senge, and Donella Meadows. The conversation continues. Let us know where else to direct our focus. Meantime, join us MON 4/17 9pm EDT for our next #orgdna. We suggest a streaming app like TweetDeck. Just include #orgdna in your tweets, and we’ll see you online.